Made with luxuriously soft goat hair, the ideal hair for blending. 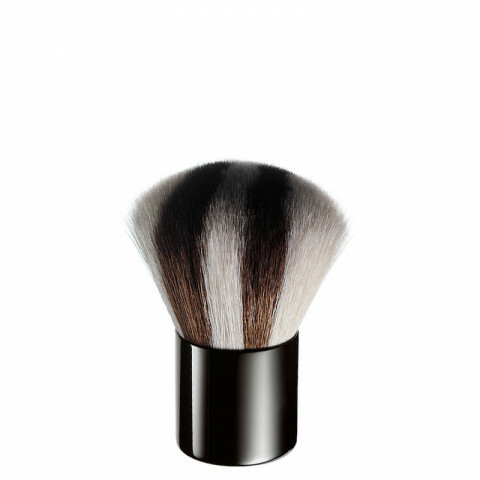 nice brush to apply finishing powder to the face or even shimmery powders to the decollete area. This brush is very unique appearing and soft. It blends your face powders together flawlessly or could be used for bronzer or finishing powder. super soft brush that is just dense enough to blend products super well. This brush, other than being drop dead gorgeous, is super soft and blends your face powders together really well for a seamless look. Very nice! Perhaps overpriced, but great quality and a great piece to have in your collection!